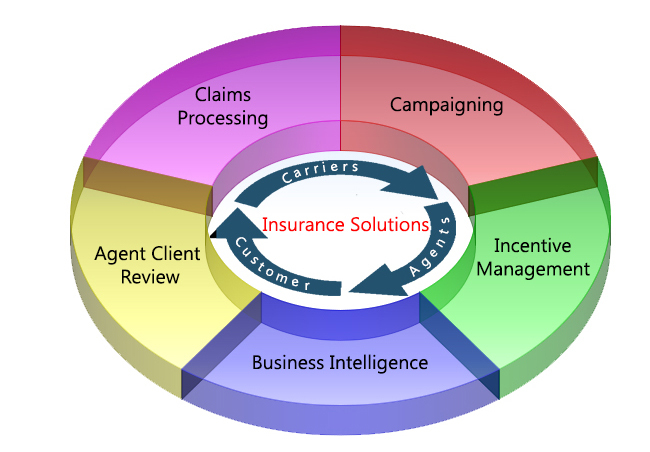 SAI Insurance solution helps Carriers build closer relationship with Agents and Brokers providing real time collaboration, for better service of distribution channel. Agents, Adjustor and Executive will have a consolidated client details presented in business process to target customers with appropriate product. Run multi-touch marketing campaigns or ad hoc campaigns based on simple to grow book of business. Balance incoming carrier commissions, outgoing producer commissions and splits. Review Active and Expired Policies for a customer with deductibles, premiums and expiration / renewal dates. SAI implementation methodologies for Insurance industry can customize your customer lifecycle process to empower insurance agents to develop opportunities and deepen client relationship. Comprehensive CRM solution, from campaign leads generation to member enrollment and renewal. SAI CRM consulting will help overcome the lack of integration between agents and carrier system to achieve sales and service goals. End results are improved Customer management; profitable opportunities identified and enhanced customer satisfaction. Attract and retain top talent - Increase market share from Agents by providing correct information through Outlook® or a Web browser. Solution will be so easy to use with less or no training. Profitable client relationships - 360 degree view of clients (Households, Claim history, Policy, and Payment history) helps agents with information they need to grow their book of business. Take CRM for a test drive. SAI will implement your industry specific business process and see how CRM on Cloud is easy to adopt. No commitments or obligations.